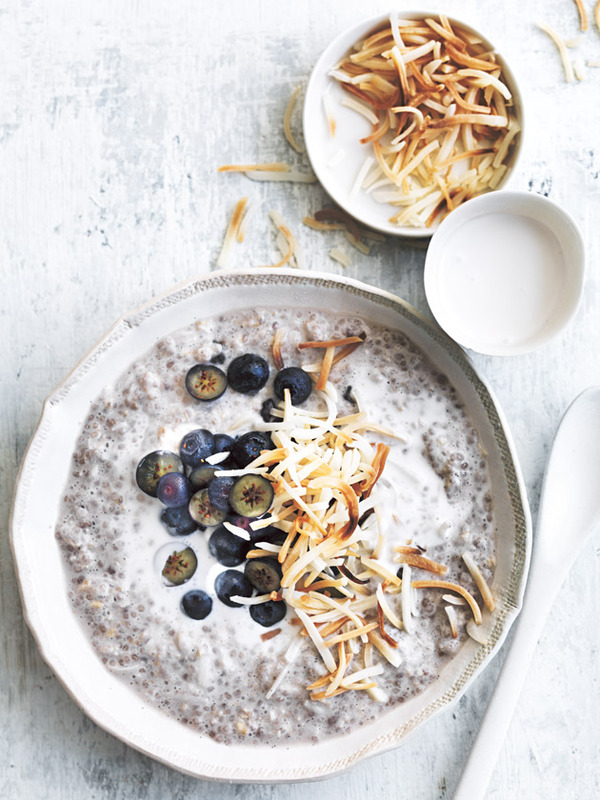 Place the coconut milk, water, oats, dried blueberries, chia seeds, coconut, honey and vanilla in a large bowl and stir well to combine. Cover with plastic wrap and refrigerate for 6 hours or overnight. Add extra coconut milk to loosen the mixture. Divide between bowls and top with the blueberries, coconut and extra honey to serve. Serves 4.